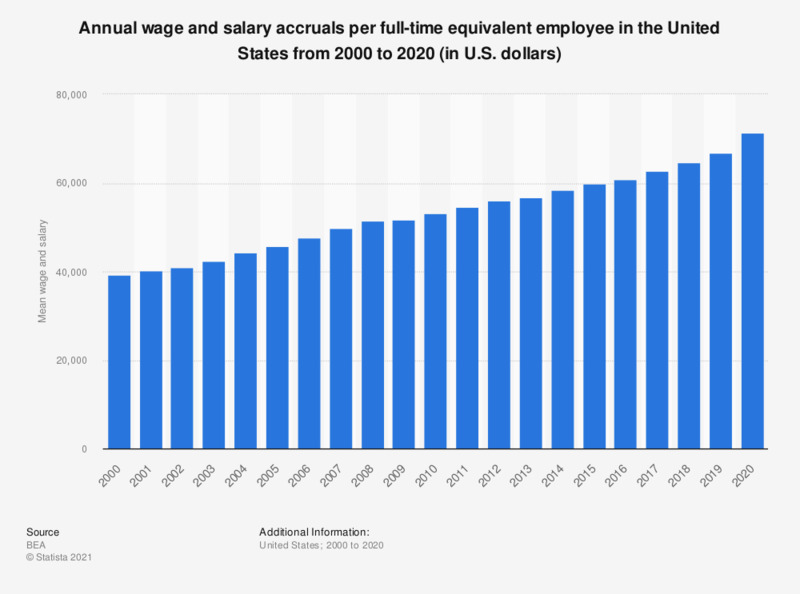 This statistic shows the total annual wage and salary accruals per full-time equivalent employee in the United States from 2000 to 2017. Wage and salary accruals include executives' compensation, bonuses, tips, and payments-in-kind. In 2017, the average wage and salary per employee in the United States was at 62,745 U.S. dollars. * Wage and salary accruals include executives' compensation, bonuses, tips, and payments-in-kind.